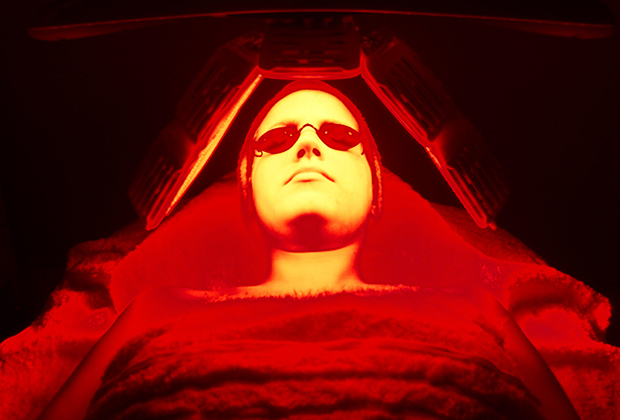 LED Facials are a fantastic way to freshen up your skin before summer hits. These non-invasive facials harness the power of LED lights to refresh and revitalise your skin – and I know because I tried them. The facial: I had a series of 9 LED Facials at Shine Skin & Body in Kew, Melbourne. There are three different LED lights, and I did a mixture of all three during my series. My main skin issues are pimples and dehydration, particularly on my forehead. I also have some fine lines around my eyes and on my forehead. Luckily there are different lights that can work on all of these issues! As you can see in the photos, the lights sit above your face. The red light boosts your skin’s circulation, and it helps to heal the skin and increase collagen production for a plumper and more refreshed complexion. This light was much brighter than the others, and even with goggles on I was aware of it! The near infrared light helps to tighten the skin and smooth out wrinkles and rough spots. It helps to stimulate fibroblast cell activity to increase the production of collagen and elastin, which can lead to an improvement in tone and elasticity. As this uses near infrared technology, it is actually invisible which makes it quite different to the other lights. A flashing light lets you know that it is actually on! The blue light is fantastic for anyone like me who is prone to pimples as it has anti-bacterial properties which help to heal your blemishes! 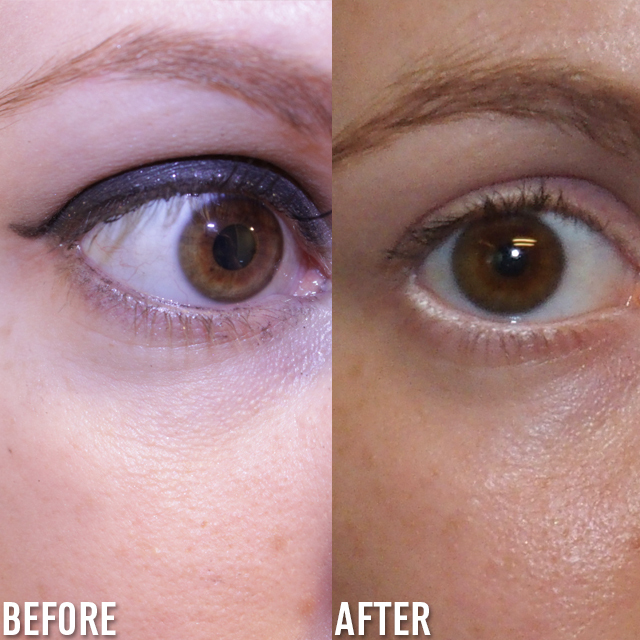 Although I’ve had great success with extraction facials, there is definitely a period afterwards that has me reaching for the extra thick concealer. This really did help to speed up the healing process after my last extraction facial. Here I am making the most of that blue light! Each session is really quick, and lasts for about half an hour. You just lie under the warm light and relax while it does its job! There is no down time afterwards, and you can go straight out to lunch or back to work. 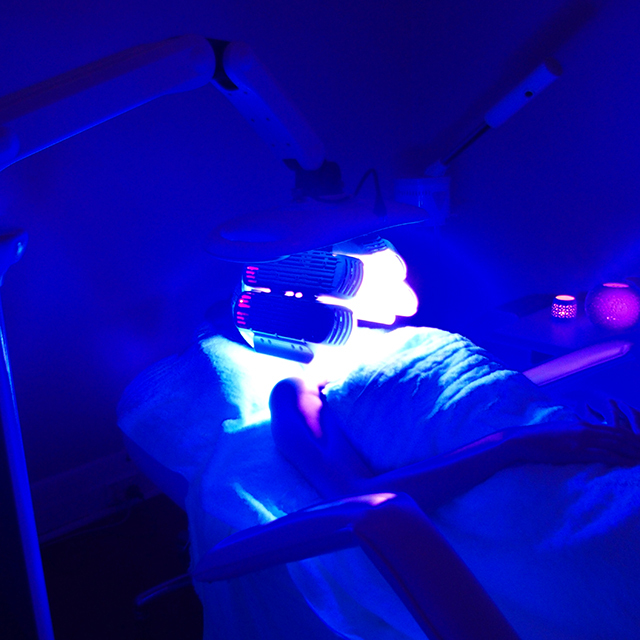 To get the most out of the LED Facials you need to go regularly, and I went twice a week. My skin is definitely feeling firmer and plumper, which doesn’t show up in photos so well so you’ll just have to believe me! It’s also really smooth and soft, and I’m finding that my serums and moisturisers absorb better than they did before. The lines on my forehead are much more refined, as are the lines around my eyes. My skin looks much fresher and one of the bellabox girls asked me what I was doing differently because I was “glowing”! My extractions healed really well thanks to the blue light, and I have noticed less blemishes showing up since I finished my last session. Your skin apparently looks it’s best eight weeks after your treatments end, so I’m excited to see if my skin gets even better in a few weeks time. I know a review is nothing without a before and after. So here’s mine. A lot of what I experienced has more to do with the way my skin feels, rather than how it looks. I didn't have really deep lines or wrinkles but I am really happy with the way the skin around my eyes looks now. And honestly, it wasn’t until I looked at the after photos that I realised how much more my skin glows! But here’s the big change: in the before photos I am wearing full coverage foundation and concealer, in the after photos I am wearing tinted moisturiser (and some NYX Jumbo Liner in Milk on my eye in the bottom after photo). 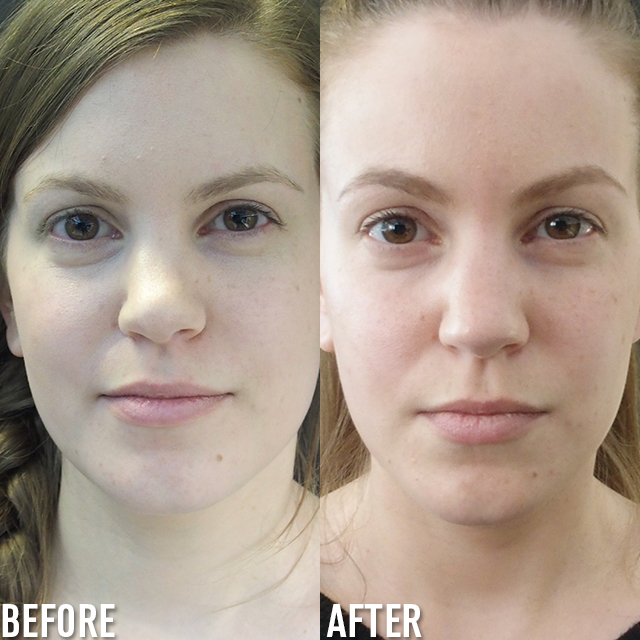 Read my extraction facial review if you want to see some incredible before and after shots!